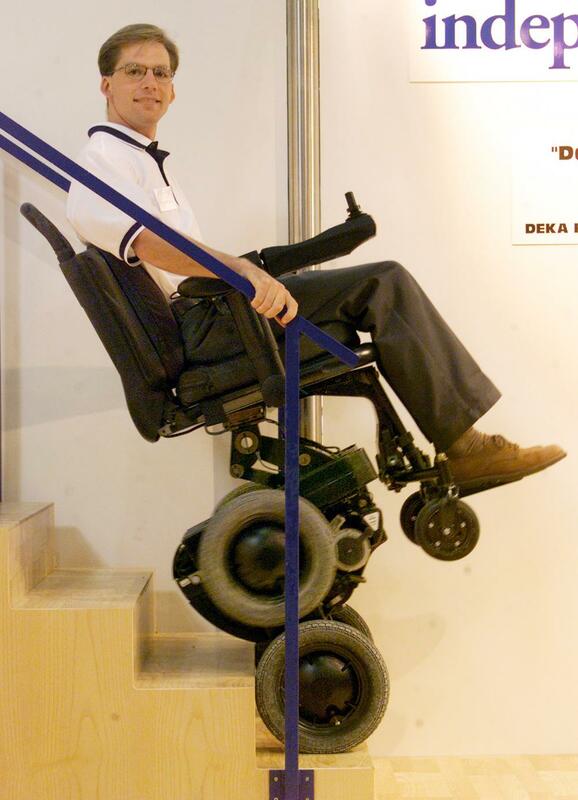 Before there was the Segway, inventor Dean Kamen introduced the iBOT, a revolutionary standing wheelchair that can climb stairs and lifts users up to standing height. The iBOT allowed people who were paralyzed to go places they couldn't before and do something most of us take for granted--look people in the eye. But Johnson and Johnson stopped producing the chair in 2009 due to cost — the company only managed to sell a few hundred a year, and Medicare only paid about $5,000 for the chair, which retails for about $25,000. Now iBOT users are facing a 2013 deadline, when the company will no longer offer routine maintenance of the chairs in circulation. Gary Linfoot, an Iraq war veteran who became paralyzed from the waist down in the line of duty in 2008, uses the iBOT on a daily basis, in addition to other wheelchairs. "The iBOT is great for going up and down stairs and I can take it to the beach, it does fine in sand up to a certain point," he told Here & Now's Monica Brady-Myerov. Linfoot says that the iBOT also helps him in intangible ways. "In a wheelchair often times you find yourself kindof isolated, kindof pushed to the corner just to avoid being run over by folks, [but] the iBOT stands you up-- now you're visible to everybody, you can see everybody," he said. Linfoot is working to raise awareness about the IBOT to get it back on the production line. Gary Linfoot, an Iraq war veteran who became paralyzed from the waist down in the line of duty in 2008. He is an iBOT user who is working to get it back in the production line. This segment aired on December 26, 2011.